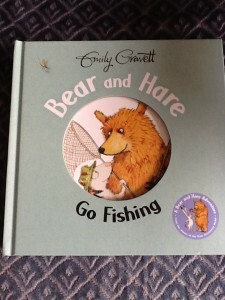 A lovely new book by this favourite author.Bear and hare go fishing and bear catches a wide variety of objects, much to the consternation and discomfort of hare. Finally they are successful, but not in a way you would imagine. This is full of humour and colour and a great book aimed at Emily’s younger readers. I look forward to reading this to younger members of the family.